Home Life	Organic food – friend or trend? Awareness concerning farming practices has been growing, as the access to organic products has been multiplying around the city. Les Bontées de La Vallée sell their products on the corner of Fabre St. and Laurier St. each weekend from July to November. At their stand, you can buy an impressive diversity of organic goods following the time of season: carrots, fresh lettuce, apples, pears, fines herbs, tomatoes, cucumbers, blueberries, potatoes, beets, bok choy, as well as other varieties rarely seen in the grocery store such as swiss chard, kale, purple broccoli, tomatillo, purslane and even fresh chamomile. François D’Aoust is originally a graphic designer. A few years ago, he started reading about organic farming and medicinal plants. His interest grew stronger as the time passed and he finally decided to take a course on agriculture production in Ontario to start his own business. He then met Plante, who was an artistic agent at the time. She fell in love with organic farming and the organic farmer! The two have been running the farm together for three years. For Plante, it’s the human side, offering a space for community bonding and sharing at the market. For D’Aoust, his passion is to offer a wide variety of fresh quality and responsible products. How then is it possible that Stanford University can state that “after analyzing the data, the researchers found little significant difference in health benefits between organic and conventional foods”? The question is: can you draw relevant conclusions on these relatively short-term studies? What happens when you look at the whole picture, taking into consideration other elements beyond the nutrition levels? 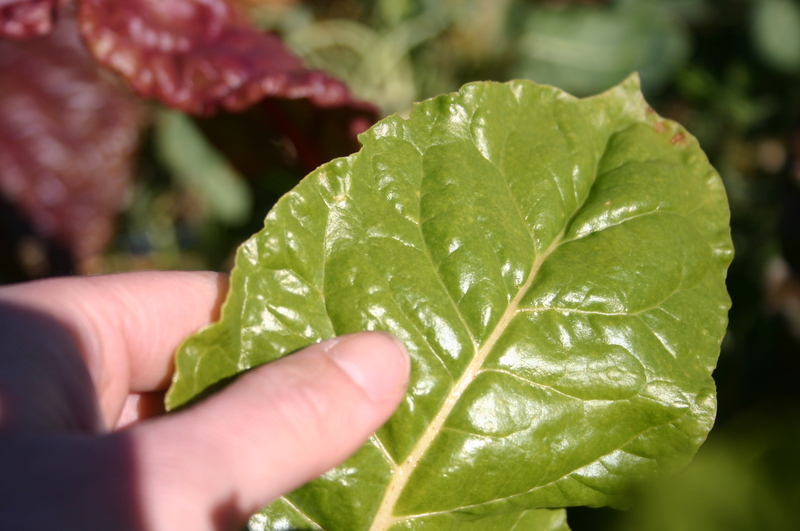 The principle underlying organic farming is sustainability, in the short as well as the long run. On the farm in Havelock, D’Aoust is constantly trying innovative farming practices to produce in the most natural way. Rather than rolled down in June, rye and clover are sowed in a field where they will stand as green fertilizer and as a blockage to weed for future tomato plants to grow. Daikon roots grow almost wildly, drilling the ground, thus aerating it naturally. Plantation sites are changed around every couple of years as to avoid draining the soil of its nutriments. 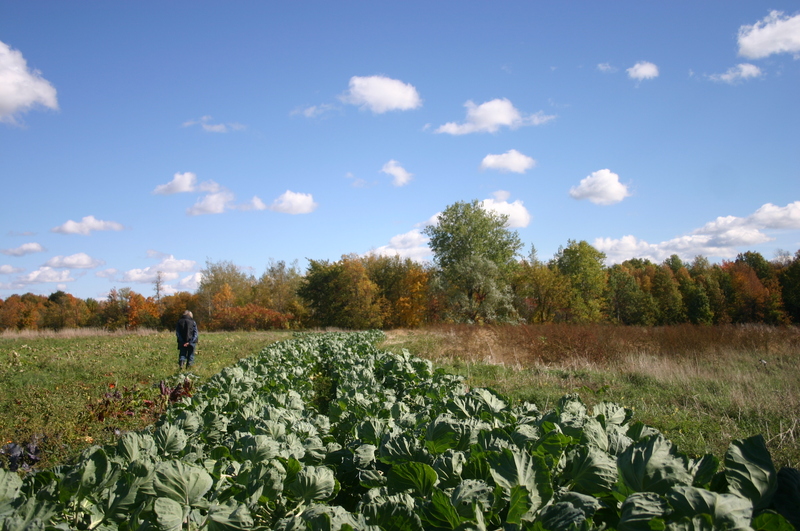 “Organic farming is a destination,” said D’Aoust. As students, we can often feel divided between our responsibility as citizens and our restricted budget. An important aspect here, if not the most important, is buying local. The organic stamp can be very expensive. Often, small-scale farmers just can’t afford it, but many still use sustainable practices. At Jean-Talon Market, you can find several sustainable producers such as Les Jardins Sauvages. It is either the same price or less expensive than at the grocery store since there are fewer intermediaries, and it is by far more delicious! Organic farmers are often called “family farmers.” It’s about re-establishing the link between consumers and producers. It’s about taking our responsibility through our daily actions, raising our awareness and creating the kind of world we want to live in. So while it’s still unclear what the exact health benefits of eating organic food are, it’s still worth it to invest in these local community-run operations.